We’re so excited to be in Los Angeles in a few short days….and we’re especially looking forward to meeting everyone this weekend! Here’s a list of our workshops, panels and activities – join us to learn about and try the latest K-beauty innovations and get the latest scoop on trends and new categories! 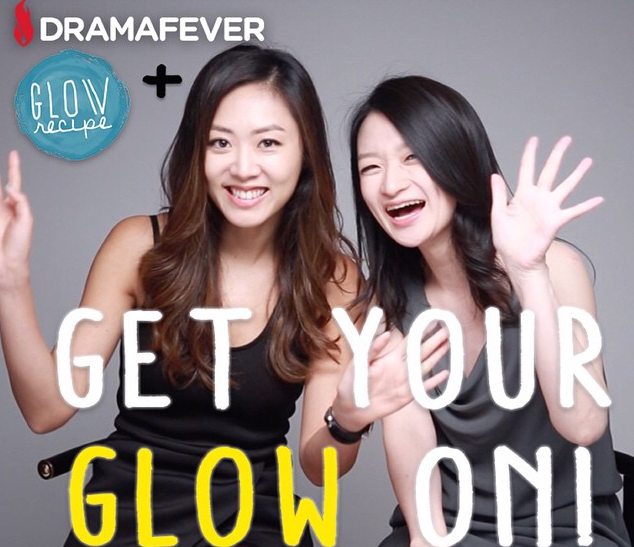 See a segment of Glow Recipe + Dramafever’s Youtube video series ‘Get Your Glow On‘ in person! We’ll be covering the hottest sheet mask trend in detail, what you need to do to get the most out of them, how to choose one that’s right for your skin along with demos! Be entered into a sheet mask set giveaway! Curious about rubber masks, sleeping masks and sheet masks? We’ll be hosting a workshop on all of the Korean masks that celebrities use to get glowing, beautiful skin. The first 300 attendees will receive a special beauty goodie bag filled with full-size K-beauty innovations and be entered into a grand prize raffle. Join us for a panel discussion on the latest Korean beauty trends and the Glow Recipe take on the latest innovations and categories. We’ll be moderating Irene Kim’s meet and greet – come see TV personality, social media sensation and Youtube star Irene in person! We’ll be moderating Irene Kim’s exciting talk on the latest K-style and beauty trends from her unique perspective. Join us for Korean celebrity skincare tips tailored to each skin type – we bring you tips and tricks directly from industry insiders and top makeup artists. Our featured guest is Kira Nasrat, celebrity makeup artist, whose clients include Jamie Chung! The first 300 attendees will receive a special beauty goodie bag filled with full-size K-beauty innovations and be entered into a grand prize raffle. Can’t make it to KCON LA? Follow us on @glowrecipe as we’ll be doing fun giveaways and updates throughout the weekend.